Paid Online Surveys: Can You Really Make $100 per Day Doing This? Learn how paid online surveys work and discover some of the best tips and sites to maximize your earnings. One of the easiest ways to earn money in your spare time is by taking online surveys. It's as simple as signing up, creating a profile, and giving your opinion on advertisements, products, services, and other marketing information. Of course, it's no secret anyone can get paid a few hundred bucks a year completing online surveys. The real question is: Can you really earn a significant income by just doing online surveys? But there are many factors that come into play, and anyone who wants to make at least $100 a day doing online surveys needs to know them all. First off, there's a growing number of research companies out there who claim to offer cash in exchange for your opinions, however not all are as legit as they appear. To save you time and keep you away from potential scams, we've prepared a list of hand-picked paid online survey sites you can check out, and we'll tell you each of their pros and cons plus how much you can realistically make from each site. Consumer feedback is some of the most valuable information a company can get when it comes to putting out the best products and services. Many companies have in-house departments committed to getting customer feedback through consumer surveys. Others don't have in-house resources for getting feedback from their customers or target markets, which means they need to hire survey companies to do it for them. 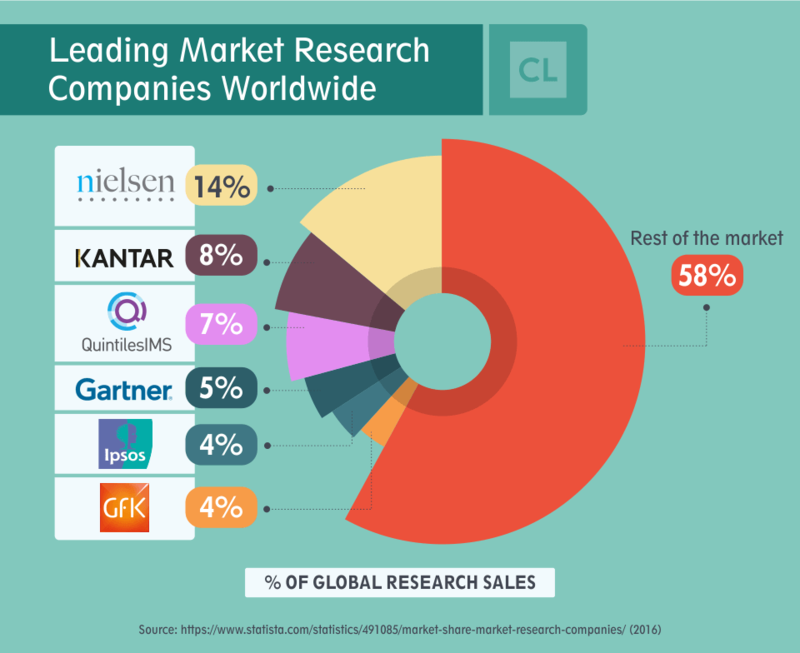 Information is power when it comes to market research. Customer feedback in response to advertisements, products, services, and other things businesses sell is often a crucial element of success. When a company gets feedback directly from the people it would like to sell to, it can tweak its products or marketing materials before they are released publicly. Your opinion is valuable to companies that want you (and others like you) as a customer, which is why they will pay you for your time when you take their surveys. Customer surveys worked for 7-Eleven. The convenience store chain 7-Eleven is a great example of a company that used customer surveys to create millions of dollars in increased profit. Back in 2014, 7-Eleven wanted to increase sales in one of its most under-appreciated product lines: "Food On The Go" (fast food prepared on-site for people to take away). It hired a market research company to evaluate the mental and emotional factors shoppers experienced when it came to buying 7-Eleven's Food On The Go. 1,079 people who purchased Food On The Go were surveyed, and 7-Eleven was surprised by their responses. Brand awareness was low. People simply weren't aware they could buy burgers, breakfast sandwiches, pizza, potato wedges, egg rolls, and more at 7-Elevens. Most of the customers surveyed said they were pleasantly surprised when they discovered they could buy breakfast, lunch, or dinner at the store. But very few of them had actually come to 7-Eleven specifically to buy take-out food because they hadn't known it was available. Using data generates huge profits. Based on what 7-Eleven learned by surveying customers, it was able to make changes to increase people's awareness of Food On The Go. The changes it made based on the customer surveys resulted in a 25% increase in Food On The Go sales, and a 32.3% increase in the company's food services profits. People's awareness of Food On The Go as part of 7-Eleven's brand increased from 44% in 2014 to 63% in 2015. With the information gleaned from a little over 1,000 customer surveys, 7-Eleven was able to generate millions and millions in new profits. 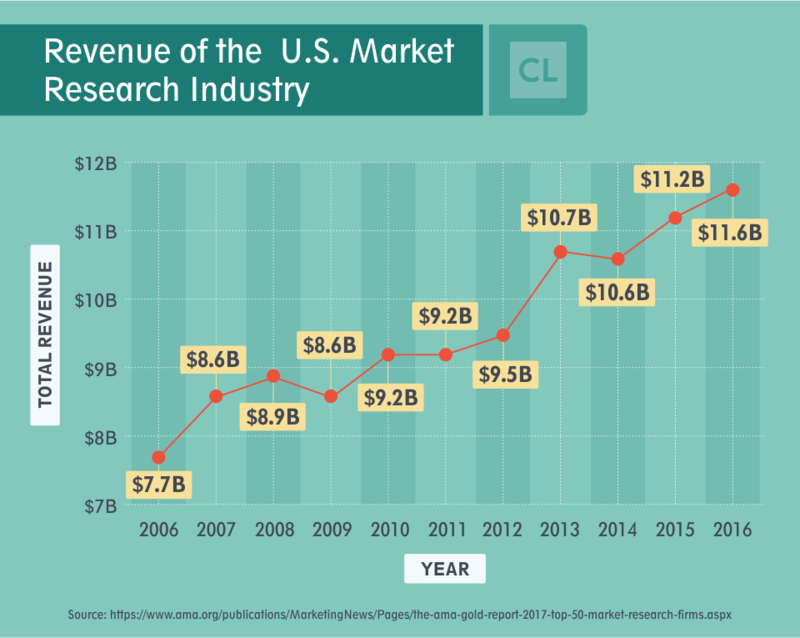 When it comes to getting paid for participating in online market research, there are two formats. The first is online surveys you get paid to complete. The second type is focus groups, which are longer and more in-depth. Different formats pay different amounts. Since the surveys take a shorter time to complete the typical payment for completing them is just $1 or $2 at the low end and up to more than $20 at the higher end. Online focus groups will take longer to complete (they regularly take an hour or more) and will pay you more for your time. $100 or more is a common pay-day for spending an hour or more participating in an online focus group. Choosing focus groups over surveys seems like a no-brainer (if you can spare the time). You're only allowed to do so many. The only problem is, there are usually limits on how often you can participate in a focus group. You can usually only participate in a particular site's online focus groups a few times a year. Don't call them, they'll call you. Many online focus groups are invitation-only. After completing multiple online surveys, a company might identify you as a good candidate for a focus group, and then you'll get an invitation. No limits on surveys. With surveys, you can do as many as you want in a day, which is a more sustainable approach if you're looking to make $100 a day, every day. How much money you can earn at home by doing online surveys depends on a few key factors. Probably the single most important key to financial success through surveys is picking the right companies and websites. The number of surveys you take over the course of a day also influences how much you can make. The demographic you fit into will have an impact on how many surveys you'll be invited to do, as some demographics are surveyed more than others. Small payments add up over a day. The compensation you get for doing an online survey is usually closer to the lower end of the range, around $1 to $5. Although some online surveys can pay as much as $75, you won't come across very many paying more than $20. To earn $100 in a day, you'll have to take a few of the high-end surveys or as many as a dozen or more mid-to-low-range earners. 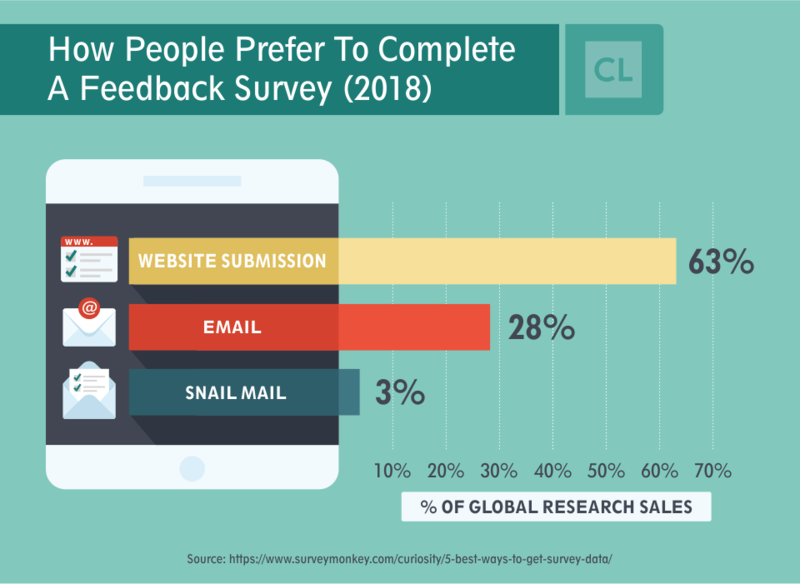 It takes a bit of research and knowledge about the companies and sites out there to get access to enough online surveys to hit the $100-a-day mark, but it's definitely do-able. Time is money with online surveys. As with almost any activity for earning extra money, the amount of time you're able to put into online surveys influences how successful you'll be. Your income potential is directly related to the amount of time you invest in completing surveys. Since completing more surveys results in you getting paid more, you'll just keep earning as long as you can put in the time. There are lots of ways to get paid. It's important to be aware of the different payment formats that different online surveys will reward you with. Some companies pay in gift cards or products rather than with cash. If your goal is to make $100 a day taking online surveys, you're going to want to stick with the companies that pay in cash. Tell a friend and earn more. Many sites offer bonuses in the form of points, cash, or prizes when you refer others to participate in their online surveys. It's called "referral marketing" and it's a nice way to pad your survey income. The first step for getting started doing online surveys for money is to identify some good, dependable survey companies and get registered with them. There are lots of legitimate survey companies out there, but there are also lots of scammers in the industry, so take care when picking your sites. If it's a scam, you'll see the red flags flying. Some sites exaggerate the amount of income you can make to try and entice naïve people to register. You can earn a decent amount of money through surveys, but if the site is promising a six-figure annual salary, it's probably bogus. Avoid any company requiring a sign-up fee to participate in surveys or asking for your credit card information, since they're probably scams. There are many companies you can trust. Rather than having to figure out the best companies for paid online surveys by yourself, start with our list of trusted sites. Survey Junkie is one of the most popular sites. With no cost to join and the ability to earn points redeemable for PayPal cash or Amazon and Target gift cards, Survey Junkiehas become a go-to for many. Although you can earn up to $12 per hour if you get the right surveys, people are often filtered out of surveys after several qualifying questions. Fortunately, when you get screened out of a survey you still receive some points. Another drawback of Survey Junkie is a potential for low payouts after completing time-consuming and tedious surveys. Cash out easily with Swagbucks. Some online survey sites require you to accumulate $10 or $20 before you can redeem the money you've earned. Swagbucks lets you cash out at as low as $1 for an Amazon gift card. Depending on the length of the survey, you can get paid as little as $0.50 or as much as $50. There's a $3 bonus just for signing up, and Swagbucks also gives you the opportunity to get paid for watching online videos, shopping online, or even browsing the web. Ipsos i-Say is dependable and well-run. Depending on your own personal demographics (age, gender, ethnicity, where you live, etc. )you could receive several surveys a day through Ipsos i-Say. To get paid in real money, choose PayPal to redeem your payment rather than the gift cards or charitable donation options. Working with national partners like Pepsi, Sony, and Pampers, these surveys are highly influential. The list of available surveys you'll be sent specifies how much you will make and approximately how long it will take to complete each survey. For example, for one survey it could indicate that you can earn 500 i-Say points (worth $5) for doing a 30-minute survey. Another cool thing about i-Say is that it offers a survey app you can use to get paid for your opinions by just using your phone. Vindale Research can pay up to $75 per survey. With regular payouts of $10, $15, and even $75, Vindale Research is one of the most lucrative online survey sites. Vindale Research performs surveys about current trends and events, which means they aren't usually tedious or boring. You can also increase your income through the unlimited $5 bonuses you can receive for referring friends to Vindale Research. Pinecone Research pays $3 for every survey. If you're looking for a dependable, predictable way to earn money through online surveys, try Pinecone Research. The company pays a flat rate of $3 for all surveys completed, which take about 15 to 20 minutes to complete. Inbox Dollars offers a few short surveys every day. Although you can't earn a full-time salary through Inbox Dollars alone, you can make a couple of bucks each day by doing its short daily surveys. You get a $5 bonus just for signing up, and there are also opportunities to get paid for playing online games, reading emails, and shopping online. 20/20 Panel is good for high-paying focus groups. If you're more interested in getting paid for your opinion by participating in focus groups, try 20/20 Panel. You can get $50, $100, or $150 for sharing your opinion on one of its focus group panels. Unlike in-person focus groups, 20/20 Panels' online research studies let you participate whenever you want rather than at a prescribed time. Once you've chosen a few sites to work with, you need to register and set up your online profile with each individual site. Honesty is the best policy. Be as accurate as you can when it comes to inputting your personal info since your selection for most surveys depends on your demographics. Fill your profile out as completely as possible and you'll be targeted more easily for surveys you are qualified to take. Whether it's making extra money through Craiglist, doing online surveys, or any other money-earning activity, you're going to have to hustle. If you want to make $100 a day taking online surveys on a regular basis, you need to take as many surveys as you possibly can. Of course, put a priority on the surveys with the highest payouts, but also recognize the potential for short $2, $3, and $5 surveys to add up over a day. Check your inbox for the latest surveys. Most companies offer the option for email alerts when surveys become available. It's highly recommended to set up a special email account (for example, a new Gmail account) specifically for your online survey communications. When you log in to most of the survey sites, your personal page will include a list of surveys you qualify to take. You might get screened out. There are a lot of surveys where the first few questions are designed to screen out people who don't qualify. Fortunately, for most of these, you still get paid a small amount for your time. Multiple choice surveys are usually faster to complete than long-form answer survey formats, so choose them if you're trying to rack up a whole bunch of surveys in a day. Each of the online survey companies has their own system for providing rewards for doing their surveys. Many calculate your rewards in terms of points, and when it's time for you to collect, you can redeem points for gift cards or cash through PayPal. Generally, points are redeemable at a value of one cent per point (100 points equal $1, and 1,000 points is worth $10). Some sites, like Ipsos i-Say, let you redeem points for an entry into sweepstakes for a holiday or another big prize. The fact that a person today can make $100 every day just for offering their opinions through online surveys would be mind-blowing to someone like my grandfather, who had to labor and toil just to survive back in the day. Filling out surveys from home would have felt like a walk in the park to him compared to the back-breaking work he had to do to just to earn a wage. The companies who pay for your opinions get a great deal too. By paying the right people to provide their honest feedback, market research companies and the corporations they work for generate billions of dollars each year. You can start right away by choosing one or two of the trusted companies and sites we've listed above. As you get more comfortable filling out the surveys, you can register with more sites. If you have the time to spare, eventually, you'll get the hang of doing a dozen or more surveys every day and earning $100 daily for your time and effort. Since 1998, I've been helping consumers get the most relevant and helpful answers to their most pressing financial questions, while also providing them access to the tools and solutions they need to effectively manage their financial woes. If you've always wondered how lucrative online surveys can really be, I hope I've satisfactorily answered the question "Can you really earn $100 a day just doing online surveys?" Just like what I always advise my readers and clients, don't be afraid to try out different income streams or side gigs to supplement your regular income or find more lucrative ways to spend your free time. Have you experienced getting paid for doing online surveys?